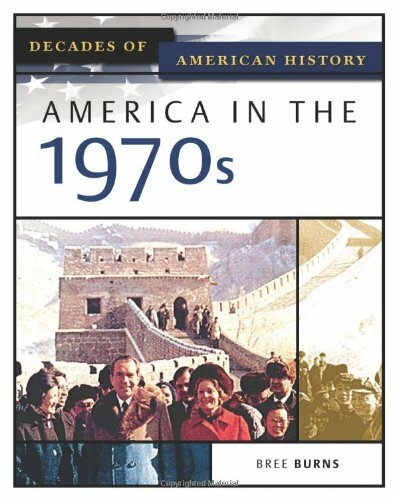 By the beginning of the 1970s the United States was being torn apart by intense feelings over the Vietnam War. Although most of us think about the damage the war did to our nation's young men, it also had a profound affect on the women. Even though women were not being drafted to serve in the Armed Forces, many of their fiances and boyfriends were, and some women became passionate anti-war activists. Early in the spring of 1970, the anti-war movement on American college campuses reached its apex when National Guard soldiers fired on a group of demonstrating students, killing four and injuring nine. Within days, witnesses to the incident were speaking in front of anti-war demonstrators at other universities, such as the one I was attending at the time. As a college student and anti-war demonstrator, myself, I can remember the shock and horror I felt upon learning that kids just like me had been shot while protesting the Vietnam War. The Vietnam War and the hippy movement continued to have an impact during the early part of the 1970s. The war was officially over in 1973; however, our troops were not withdrawn until the fall of Saigon in April 1975. As Americans gradually put the war behind them, many of the former anti-war protestors began to turn their interest towards the environment, and brought their newfound feelings of activism with them. Interest in the environment had been picking up momentum in the 1960s and grew even stronger in the 1970s. The first Earth Day was celebrated on April 22, 1970. Interest in the environment was also fueled by the 1973 oil crisis, when there were shortages of gas accompanied by long lines at the filling stations. In many two-car, one-salary families, the wives spent hours sitting in line each week, waiting to fill up their cars. By 1977, young people put the folk music of the anti-war movement behand them and began to celebrate life in disco clubs. Life changed radically. Even as we graduated from college in 1970 and continued our lives through the rest of the decade, women were still having difficulty finding successful business careers. I can remember discussing a possible business career with a faculty member at the business school on my university campus, but he only suggested that I take secretarial classes. No young man would have ever received the same advice. In recent years, when I have mentioned this incident to other women my age, I have learned that my experience frequently mirrors the advice they were given at about the same time. As a result of the lingering attitudes towards women, dating back to the 1950's, women in 1970 were only earning about 45% of what men did. Things had only slightly improved by the end of the decade. However, women were beginning to make some social strides because of their newfound ability to control reproduction. The birth control contraceptive pill had been introduced in the 1960s, and was in widespread use by the 1970s. In addition, in 1973 the United States Supreme Court ruled that states could not restrict a woman's right to an abortion in her first three months of pregnancy. For the first time ever, women were truly able to live independently, and choose careers where they could work for as long as they wished, without fear of unwanted pregnancies. As mentioned earlier, music also changed during the 1970s. Folk music and the musical political statements all but disappeared. Janis Joplin, Jimi Hendrix, and Jim Morrison all died during the decade. Instead, Disco music gained in popularity, and couples began to enjoy dancing together again. Late in the decade, in 1977, Elvis Presley, the "King" of Rock and Roll died. Heroes of the popular movies of the decade were primarily male. The Oscar winners, for example, were “Patton,” “The French Connection,” “The Godfather,” “The Sting,” “The Godfather Part II,” “One Flew Over the Cuckoo’s Nest,” “Rocky,” “Annie Hall,” “The Deer Hunter,” and “Kramer vs. Kramer.” However, television was beginning to change and depicted far fewer happy, perfect families where everyone was pleasant and polite all the time. Instead, the newer shows often dramatized the changing society and its increasing social consciousness, such as “All in the Family.” In addition, some of the shows depicted young single women living on their own or working in traditionally male careers. Among these new television shows were “The Mary Tyler Moore Show,” and “Police Woman.” Later in the decade, shows that glamorized young single women, such as “Charlie’s Angels,” “The Love Boat,” and “Three’s Company” became increasingly popular. These shows also had an effect on women’s fashions. My teenage stepdaughters, like millions of other American teenagers, wanted to wear their hair in styles that were popularized by “Charlie’s Angels.” The more male dominated shows, such as westerns, which had been popular during the 1950s and 1960s, began to die out during the 1970s. Women were also becoming more visible in the work force and as heads of state and government. For example, Isabel Martinez de Peron was elected the first woman President of Argentina in 1974. Golda Meir continued her position as Prime Minister of Israel. Even more significant to American women, Margaret Thatcher was elected in 1979 as the first woman Prime Minister of the United Kingdom. Here was a smart, well-spoken and well-respected middle aged woman who had found political success in an English speaking country. Feminism began to grow stronger during the 1970s, lead by strong, independent women such as Gloria Steinem, Betty Friedan, Betty Ford (our First Lady) as well as many others. Coretta Scott King, the widow of Martin Luther King Jr., supported the feminist movement and called for an end to discrimination of all kinds, including against women. At the National Women’s Conference in 1977, she promoted a women’s resolution ensuring racial equality in the women’s movement. At the end of the conference, all the gathered women held hands and sang, “We Shall Overcome,” a hymn that had become synonymous with the Civil Rights movement. Small numbers of women began to be successful in previously male dominated careers such as business, politics, science and the law. However, not everything was moving forward on the feminist front. The Equal Rights Amendment to the U.S. Constitution failed to be ratified. Also, although the wage gap between men and women did shrink, there remained a significant difference between the two genders in earnings. Although more women were entering the work force in the 1970s, most men were still considered the family bread winner. Many women continued to leave the work force when they started a family, often returning once their children started school. At the end of the 1970s, many young women were still torn between their connection to the feminist movement of their earlier years, and their desire to be conservative, loving wives and mothers. Similar to many women who reached adulthood in the 1970s, I started the decade as a hippy living in Berkeley, California, and ended the decade living in a conservative suburb in the Southwestern United States, with a husband, two stepdaughters, a baby and two dogs! This was a far cry from the anti-war, protesting liberal I had been merely 10 years before. 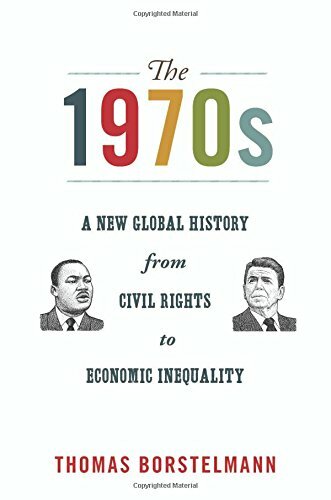 This is an excellent book for anyone who would like to learn more about how our country changed during the 1970's. Learn even more about this turbulent period of history! Enjoying this thread and learning about your journey. Working on this brought back many fond memories to me, too! Thank you both for reading this series of articles! Writing them brought back a lot of memories for me, too!